For a successful skiing holiday, rent the accommodation to Les Contamines-Montjoie which is situated in the mountains Northern Alps, Haute Savoie. This skiing resort is well known for its beautiful surroundings and breathtaking landscape. Booking to Les Contamines-Montjoie is easy and convenient and can be done either by phone or via our website. Each accommodation shown online is available for rent, just select the date and start date of your holiday at to Les Contamines-Montjoie to find out the cost. Don't hesitate, now is the time to ski ! The chalet Buchan is located in the village center of Les Contamines. 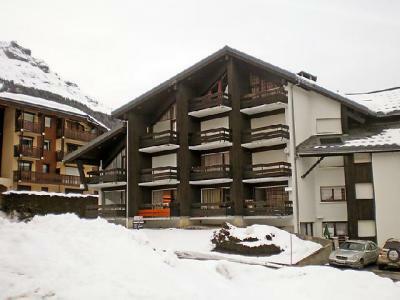 This chalet for 15 people, on 2 floors is situated 1.2 km from the ski slopes and ski lifts. You will find the shuttle stop at about 100 m. You will have a South/West exposure and a nice view on the Mont Joly. The residence Les Bergers is a together of 3 builds on two floors. It is situated 1.1km from centre and 400m from gondola. This is a recently residence, without lift, with a private parking. The residence les Cimes d'Or (without lift) is situated in the hamlet of Lay. It comprises of 3 buildings over 3 floors and is located 1200m from the centre of the village. Les Cimes d'Or, les Contamines-Montjoie, Alps are with close proximity to the shops and 400m from the ski lifts. The Residence l'Enclave is in the Lay area of Les Contamines-Montjoie, near the shops and 200 m from the nearest cable car. The centre of Les Contamines is 1.3 km from the residence. The residence has four floors and is equipped with a lift. Residence Le Savoy, is a 3-floor property with a lift. 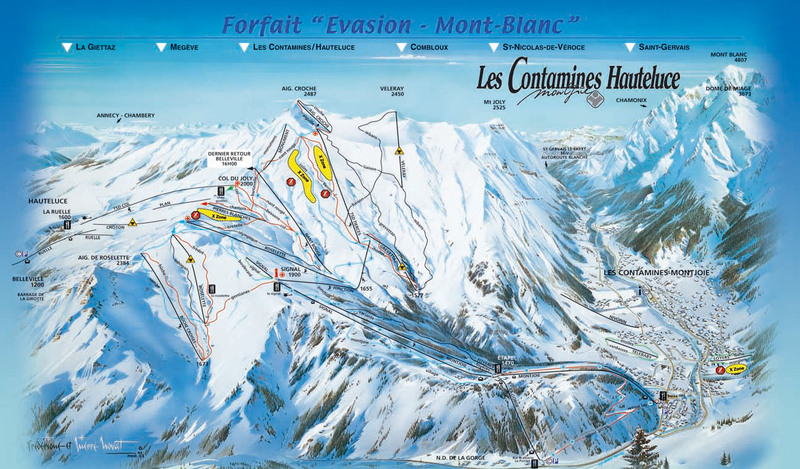 It is located in the heart of Les Contamines-Montjoie ski resort, 1200 meters to the skilifts. You'll find a skibus stop 50 meters from the residence. The Residence La Borgia is a small residence made up of 3 four storey buildings. It is in the Lay area of Les Contamines-Montjoie near the shops. The nearest ski lift is 160 m away. The centre of Les Contamines is 1.2 km away. The residence Pierre Blanches is composed of 2 buldings of 4 floors, wirh lift. It is situated in the hamlet of Lay, 1200 m away from the village center and 500 m away from the ski lifts. The shops are close to the residence.